The Telangana State Eligibility Test (TS SET) results 2018 will be released today. 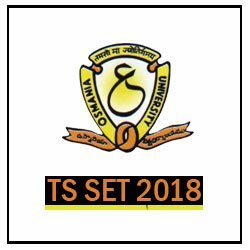 The TS SET 2018 results will be released at the Telangana State Council of Higher Education office in Hyderabad at around 4 PM. The candidates who have appeared for the TS SET 2018 examination are advised to visit our website – www.manabadi.co.in to check and download their results.